While my kids are at different points in the Harry Potter series they both love the books and the few films they’ve seen. 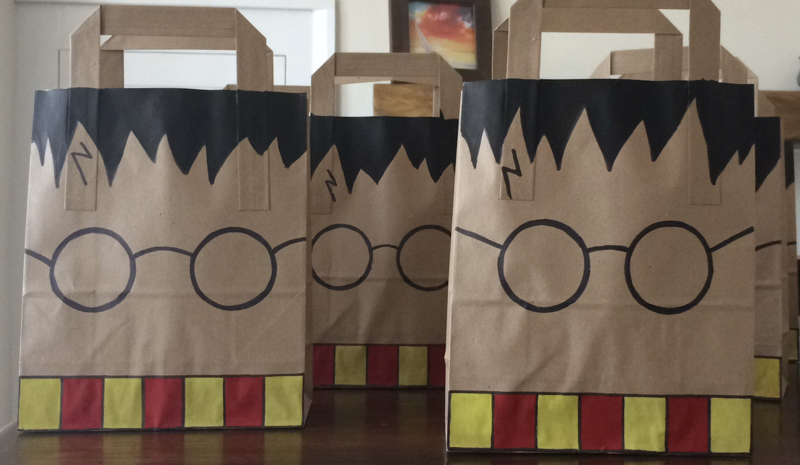 We made the mistake of asking what they wanted to do for their birthdays this year and both said Harry Potter party. So we started looking for ideas to try out. And let’s face it, whenever it’s time to throw a kids party the you need plenty of ideas to keep them all entertained! Below are ideas we used for this that would work for younger kids (my son is 6) and older ones (my daughter is 9). It took some preparing but most of it was done either the night before or a few days in advance in the evenings after work. It was worth it as the kids haven’t stopped talking about the party since! We were lucky enough to borrow a Sorting Hat replica but I’m sure you could raid your kids dress up box and use a regular witch hat. 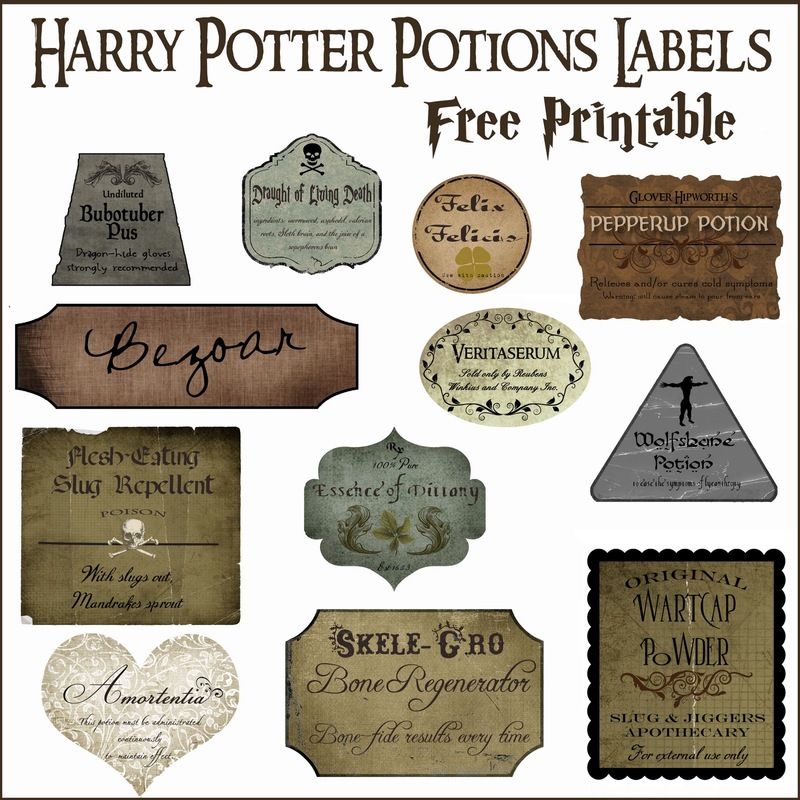 The Sorting Ceremony can be kept simple with children choosing the name of their house from a bowl. 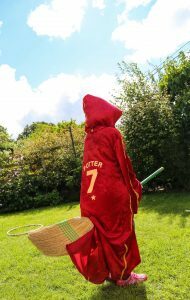 Be warned: we did this at school and if you put kids in different houses you’ll end up with a full on war between Slytherin and Gryffindor and not much else happening! The kids loved it and my daughter only realised halfway through that it was her dad, so taken was she with the hat talking! A couple of days before the party I spray painted three cheap hoola-hoops gold – just tie them to the washing line and try to stand upwind of the spray! I also made the Golden Snitch by spray painting a ping pong ball gold, punching two holes either side using a nail and inserting 2 white feathers for the wings. For the party we had the hoops hanging from the washing line with a ‘keeper’ standing to the side of each one. 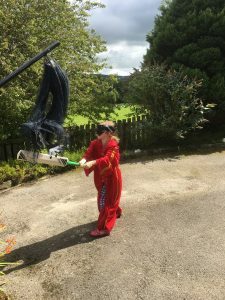 The others took turns on brooms (a regular house broom with the handle cut down so it didn’t hit the others) trying to throw small, lightweight ‘Quaffles’ through the hoops… all the while with me throwing ‘Bludgers’ (or lightweight beach balls) at them! If hit by a Bludger they had to freeze for the count of 5 shouted by the other waiting children (“1 Dumbledore, 2 Dumbledore, 3 Dumbledore, 4 Dumbledore, 5 Dumbledore”) which kept them occupied as they waited. 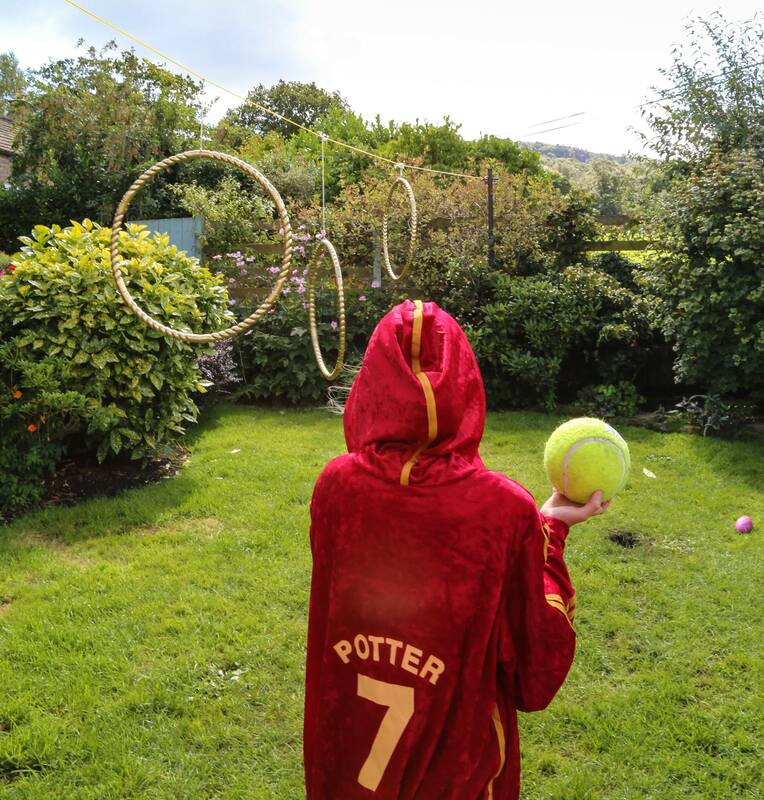 For general Quidditch rules so you can make your own adaptations see here. After this was over the kids went hunting for the Golden Snitch and bags of Bertie Botts Every Flavour Beans. 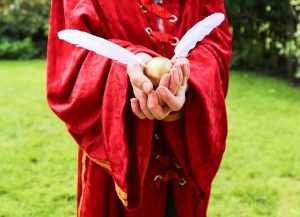 The child that found the snitch took it home with her as a prize. They all got a bag of the beans. The best price I could find for these was on Amazon. Still not cheap but I used them as their party bag gifts. We used one bag as taste tester at the party. With no menu on view they had to choose beans from the bowl and hope for the best. They loved this bit as some of the beans really do taste horrible! A Pinata is a bag or box stuffed with sweets, decorated to look like something else that can be hit with a bat to make the sweets fall out. We made ours resemble a dementor: Sweets inside 2 paper bags, taped up. Covered in a long black cardigan roughly sewn together with hands from my sons last Halloween costume sewn into the sleeves. And some floaty black material we had over the top. The whole thing took less than 10 minutes – and I spent most of that time trying to thread the needle! Rudimentary, but the kids were more than happy to hit it with a bat after hearing that there were sweets inside! For an added Harry Potter geek-level have them yell the spell to repell Dementors “Expecto Petronum” when they hit it! For older kids you can blind fold them to make it more challenging/last longer. However, a 9 year old wielding a cricket bat while blindfolded is not for the faint of heart. Make sure everyone stands well back. The key here is to have a container with a narrow neck. A wine bottle works really well. Luckily, I happened to have an empty one and, as I was getting a little carried away with the gold spray paint by this point, sprayed that gold too. 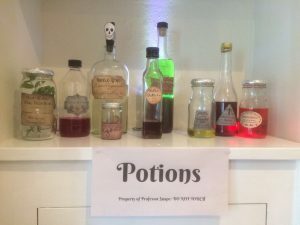 I found free printable potions labels online and stuck them to various bottles I had in the kitchen. Some were things like Red Wine Vinegar that I was still using and others were just water with food colouring added to an empty jar. I have had a jar of whole nutmegs in the cupboard for ages, hardly ever used and these made excellent Bezoars (Harry Potter and the Half Blood Prince). I used Mint stems for Mandrake Sprouts. So back to the party… before everyone arrives add white vinegar to the bottle with some food colouring. 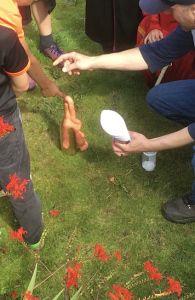 Then when the kids are all there add Bicarbonate of Soda to the wine bottle using a paper funnel to create an explosion of colourful bubbles out of the top of the bottle. If you don’t want this all over your garden then put the bottle in a bucket first! However, it’s easy to clean up with a squirt from the hose pipe. I put a dot of food colouring in each cup covered by ice and so when pouring out the drink from the same bottle the liquid that appeared in the cups was a different colour. During lunch we played a game of Harry Potter Would You Rather which kept everyone entertained. We made them work for dessert… Harry Potter caught his first ever Golden Snitch in a match with his mouth, so we strung up biscuits with holes in them from the washing line and, with their hands behind their backs they had to try and eat the biscuits. For the cake I made the same one as Hagrid made Harry in the first book/film. Baking is not my thing (last years cake was an Olaf cake which was the stuff of nightmares by the time I’d finished with it) so this was nice and easy to do and it didn’t matter if it was a bit wonky! I made simple bags for the kids to take home with them. I found the idea here. We hung candles from the lights to create the Great Hall in the kitchen and covered the table in inexpensive brown plastic covering with gold paper plates and cups. We also hung brick wallpaper (borrowed from a friend) from the door to get into the house so it was like entering Platform 9 3/4. The kids loved that! We also had the younger ones make wands when they arrived. They used sandpaper to smooth them then covered them (themselves and everything else) in glitter glue. 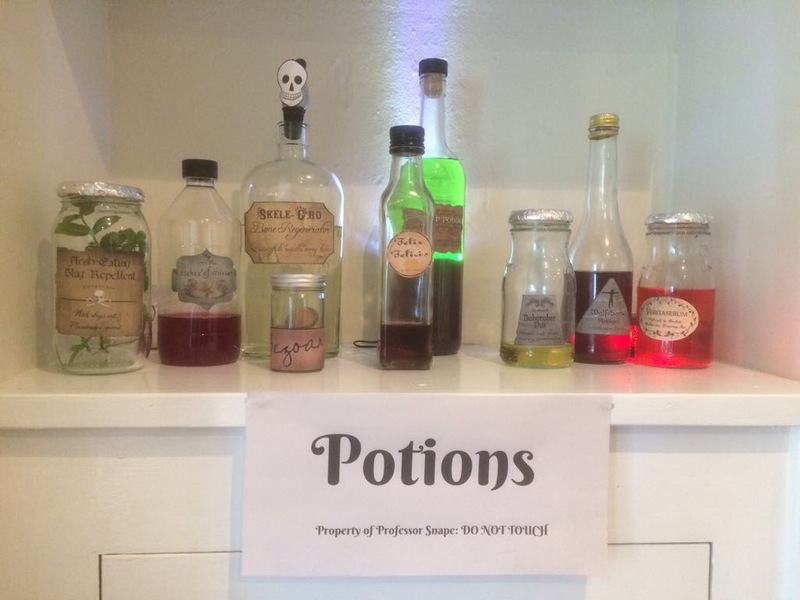 We also put out the potion bottles to add to the atmosphere. 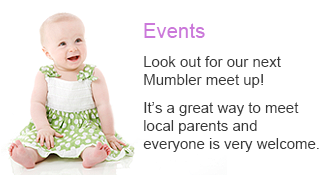 If you have any party ideas you want to share email us at nidderdale@mumbler.co.uk and we will add them to the website on the parties page for other parents to see. If you’re looking for something unique and magical for your little one’s birthday party – give them a World of their Own! 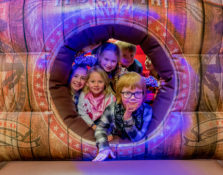 Book a Wild West Adventure in Sugar Rush County, where little outlaws aged 4 to 9 can escape from the Sheriffs Jail, rob the Wild West Bank, experiment with the soft mixers in the Cowgirl Saloon, try their luck in Tin Can Valley, take cover in the Cowboy Shoot Out, explore down the Spooky Gold Mine or try to stay on their feet in the Rodeo Bounce House! Cowgirl Rodeo – A horse ranch rodeo birthday party down at Sugar Rush County! Ride ‘em and rope ‘em! Sheriff Showdown – Hootin’ tootin’ cowboys shootin’, rounding up all the outlaws of Sugar Rush County! Wild West Ghost Town – Spooky and kooky, only for the bravest cowgirls and cowboys who can hold their nerve down ‘em gold mine tunnels! The Wild West Adventure party invitations and posters, personalised with the name and photo of the birthday boy or girl. 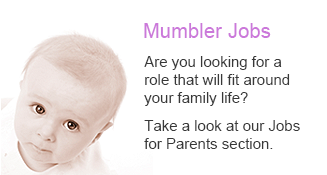 *Minimum of 15 children, maximum of 30. Sheriff Party Cones at £2.50 each. Want to invite the whole class? Choose our “Golden Nugget” Party Package! All the above for 30 little outlaws, including Sheriff Party Cones and a cake, for £485! From 12th May 2018, our Wild West Adventure will be at Grass Roots Food Hall, Café & Gardens at Bishop Monkton near Harrogate, HG3 3QD. No transport? No problem! Just hop on the No. 36 Pony Express, it will drop you right at the ranch door! Bah Humbugs Retro Sweet Party Bags – crammed full of all the retro sweets YOU will have loved as kids, and guaranteed to be a huge hit with YOUR kids! Prices start from £2 per bag, and all orders can be customised to suit your guests. Call our sweet shop in Masham on 01765 688997 to place your orders. Professional balloons delivered and displayed at your venue. Let Precious Gems come to your chosen venue and entertain your children and their friends. Each child will make 2 pieces of jewellery, which goes into a lovely pink organza bag, no party bags required. All you need to provide is a table and chairs. 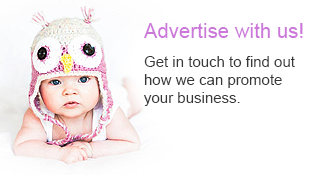 Inflatable & Softplay Hire covering all of North Yorkshire. Prices from as little as £40. Balloons and bouncy castles for hire. It’s a soft play bus party venue. 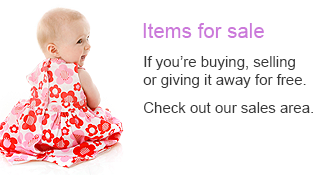 Soft play toys and activities brought to you at your home or chosen venue. Can also include: bouncy castle, face painting & glitter tattoos and balloon decorations. Glitter and Sparkle Pamper Parties provide children’s themed parties for girls age 4 – 13. One hour of exclusive use of our facility, where trained coaches will organise, amuse, supervise and instruct the children on all the apparatus. A face painting company offering face painting & glitter tattoos service. The Yorkshire Booth Brothers “Kids Booth” is a smaller oval booth perfect for children’s parties and events. Cake decorators as well as offering cake decorating parties for children. Cake makers/decorators and party hosts. Unique parties, events & character appearances for children from 3 to 12 years. Cinema parties & Golf Academy Parties.